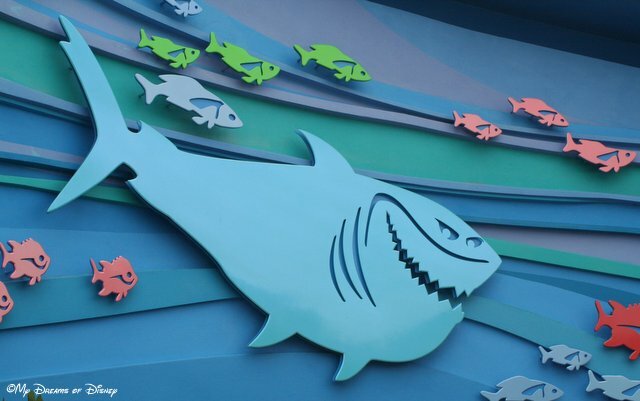 Hello everyone, and welcome to #Day62 in our #DisneyWorldCountdown! 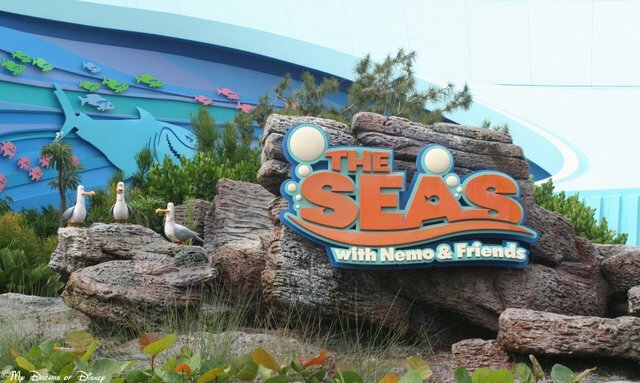 This day we are taking a look at one of the pavilions of Epcot — The Seas with Nemo and Friends! This pavilion is, like many of the Future World pavilions, named after the ride that it contains, but it has much more to it than just a ride. The ride is fun, although my camera shots aren’t really that good — so I don’t have any to share, really. I’m working on that for next trip. 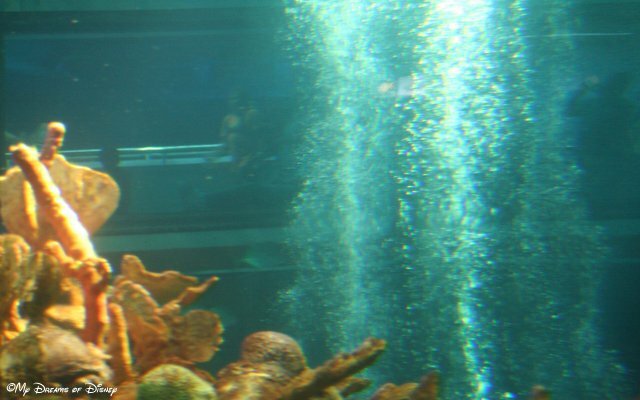 But I do like some of the things I’ve been able to see and photograph of the aquarium, even though they are kind of blurry too, so I hope I’m not turning you off of this pavilion. It really is a lot of fun in my opinion, and has a lot going for it. For starters, watch out for Bruce! Watch out for Bruce! 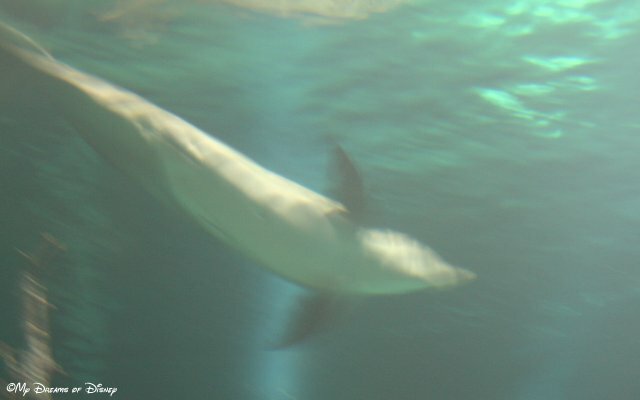 Fish are friends, but what about humans? 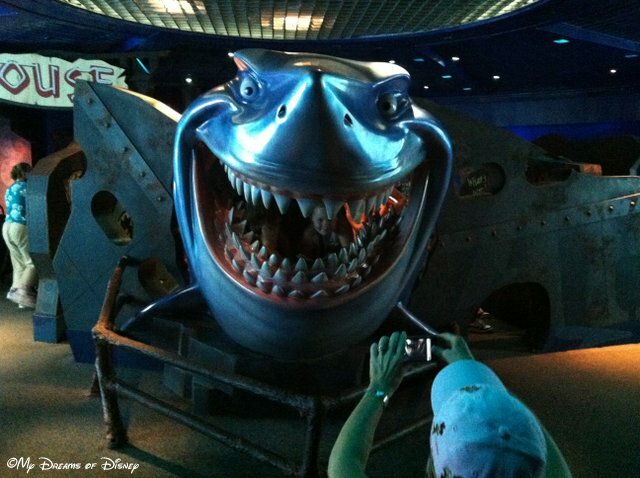 One of the residents in the huge aquarium inside the Seas with Nemo and Friends Pavilion. Another shot of the Aquarium. Of course, in addition to all of this, the Coral Reef Restaurant is the table service restaurant at this pavilion. I’ve heard mixed results about it, so we haven’t eaten there before. Have you eaten there? If so, what did you think of it? Please let me know in the comments, and thanks! Previous Post: History Lessons with the Hall of Presidents!